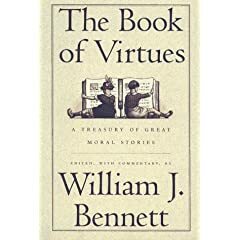 I bought The Book of Virtues: A Treasury of Great Moral Stories years ago, back when I was a grad student and children were just a faint idea in a distant future. I loved this collection of classic stories, and recently as I was going through my books, I rediscovered it and thought it would be great to introduce it to my kids. We have started reading portions of it to the kids at night, and at mealtimes. I could go on and on about this book, and a part of me is tempted to just stop writing altogether, and just post one of the selections here every day. It’s that good. Read excerpts here. 3) the language is difficult, but this kind of reading is so beneficial to developing a child’s vocabulary (and one of the reasons Jafta now uses words and phrases like, “perhaps”, “therefore”, “this is wondrous”, and “I’ve soiled my hands”. This past month, we’ve started reading the following poem before every meal. Now, at first glance, I admit this poem seems a bit, how shall we say . . . stodgy and strict. (Yes, that age-old goodie “children should be seen and heard” is from this very poem). But I like the values that it teaches about how kids should compose themselves at meals. Now – since reading this, do my meals look like the one described here? Mwaahahahahahahah. No. But we are moving in the right direction, and the kids can now recite most of the poem, explain what it means, and THE BEST PART: catch themselves (or more likely, each other) when they are not being appropriate. In which we learn how to take our daily bread. Here’s a little video of India reading the book, which she called the “pom pom” book. Can you tell what virtues Miss Sassypants is working on developing right now?? I have a copy of the Book of Virtues that I bought in college too! It’s been stacked high on an armoire, having been relegated as a decorative object, for too long now. I think it’s about time I dusted it off and cracked it open. I had totally forgotten I had it! Thanks!